Back in 1996, 30 JT42HW-HS locomotives were ordered by the English, Welsh and Scottish Railway (EWS) for services that require high speeds (i.e. postal and passenger services). EMD outsourced the production of the Class 67 to Alstom's Meinfesa plant in Valencia, where Alstom's Prima monocoque body design was combined with components from GM-EMD. The EMD components have a lot in common with those used on the JT42CWR(M), better known as Class 66. 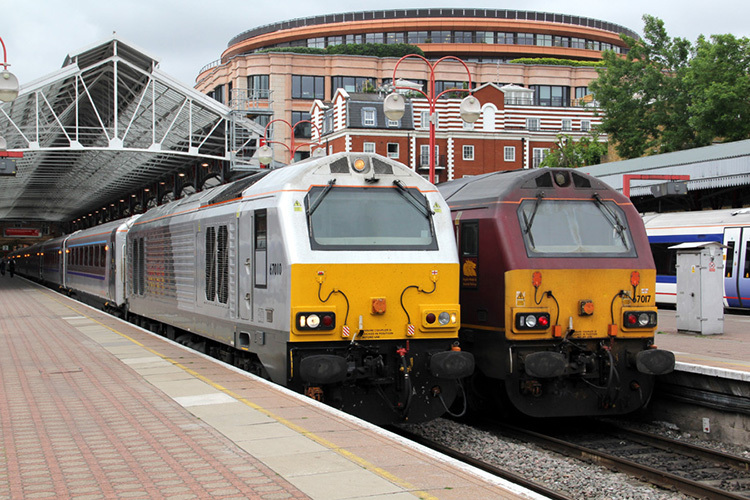 All thirty units were ordered via leasing company Angel Trains Ltd. and subsequently leased on a fifteen-year contract to DB Schenker Rail UK (formerly EWS). 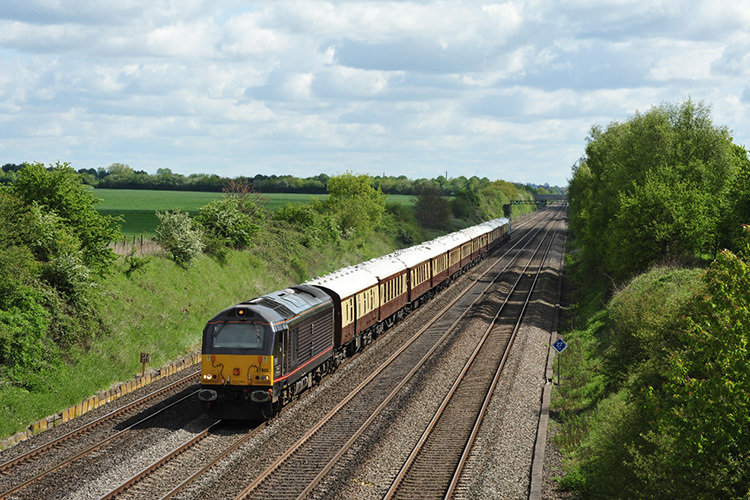 At the end of the contract, ownership of the locomotives was transferred to DB Schenker Rail UK, which is now known as DB Cargo UK. 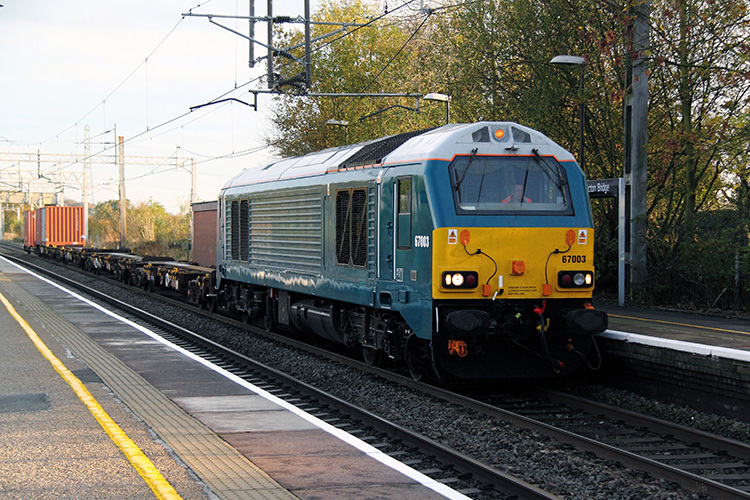 The first unit (67003) arrived in the UK by ship in early October 1999. In January 2017, ownership of 67023 and 67027 transferred from DB Cargo UK to Colas Rail after DB Cargo had publically announced its intention to sell the two locomotives in October 2016.